The origin of Hanukkah is a very interesting tale. At around the time of 160 BC, a Jewish group called the Maccabees fought a war against the powerful Greeks. The Maccabees were heavily outnumbered and had to do everything that they could to defend the city of Jerusalem. The small group of Maccabees were in a David and Goliath situation; the Maccabees had only a small chance to survive the Greek attack. After days of fighting off the Greeks, the Maccabees managed to defeat their enemies. However, Jerusalem was damaged. The most devastating event was the destruction of the Second Temple, a holy temple in Jerusalem that was significant to the Jewish religion. In the wreckage of the religious monument, the remaining Maccabees found a little bit of oil that they needed to light a candle on the menorah in the temple. When they found the cruse of oil, they thought that it would only last them one night. This is when the miracle happened; the oil that should have lit the candle for only one night, ended up burning for eight days and nights. The eight days of burning are why Hanukkah is eight days long. On each of the eight nights of Hanukkah, the tradition is to light one candle on the Menorah, which is used as a symbol for each of the eight days. By the end of the holiday, the entire Menorah will be lit. When lighting the Menorah on the first day, three prayers are said, while on the rest of the seven days only two prayers are recited. Another tradition that ties back to the oil is the food that is eaten during Hanukkah. Latkes are the traditional Hanukkah food; they are potato pancakes that are traditionally prepared and get their rich taste from being cooked in oil. Most definitely, the Festival of Lights has a lot to do with oil. During the Greek rule over Jerusalem, practicing Judaism was prohibited. In order to hide the fact that they were secretly studying Judaism, the Jews would play with dreidels to hide the true meaning of their gatherings. This is from where the traditional game emerged. Dreidel is a game involving the dreidel and chocolate coins. Everyone starts out with a few chocolate coins and each person must put one coin in the middle of the pot. The first person spins the dreidel, which has four sides. The four sides have a “nun,” “gimel,” “hay,” and “shin.” Landing on a “gimel” means that you earn the entire chocolate pot, a “hay” means you get half of the chocolate coins in the pot, a “nun” means nothing happens, and a “shin” means you have to put two of your chocolate coins into the pot. 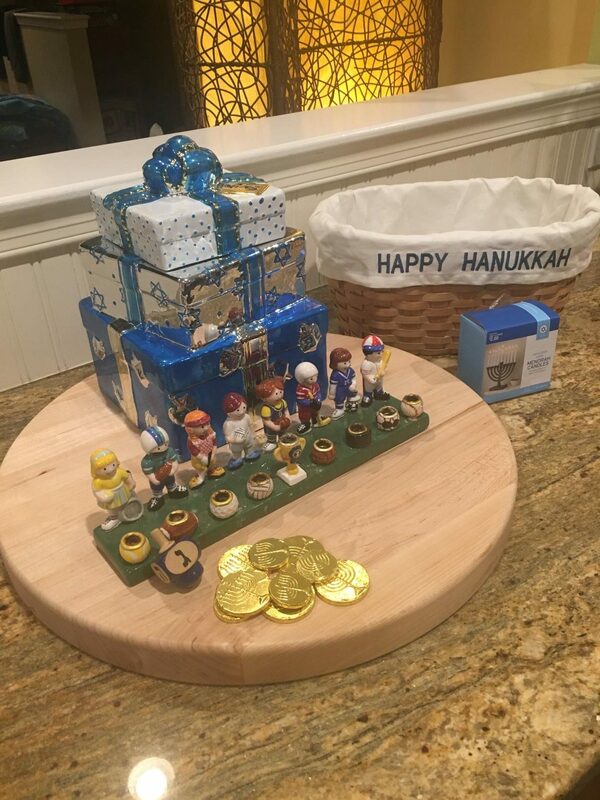 The Hanukkah celebrations and traditions vary for all different families. One thing is certain, which is the lighting of the menorah. Some families give a small gift for each one of the eight nights of the holiday, others give one large gift and nothing else. Nonetheless, Hanukkah is a holiday that contains a great deal of historical meaning and is a Jewish tradition that is lots of fun. Below is a tasty latke recipe you can try at home.